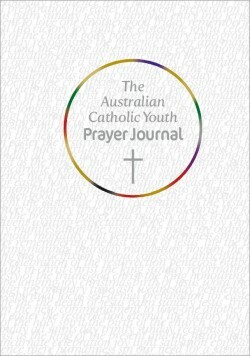 Alternative prayers celebrating Mary’s place and importance in the world as the Holy Mother and the Mother of Jesus from The Australian Catholic Youth Prayer Journal by Ann M. Rennie. The Latin version, Ave Maria, is popular with many vocalists—even today’s stars such as Beyonce and Michael Buble. 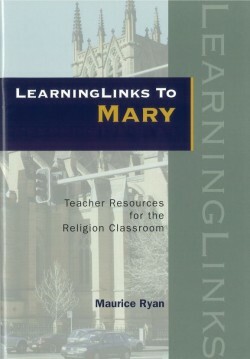 It’s an important element of the rosary, as it is ‘Mary’s prayer’. Listen to any version of the song, Ave Maria, and reflect on its meaning and why song lyrics with music can be more powerful than prayer on its own. Prayer beads are used in many other religions: Hindu, Buddhist, Muslim and Jewish. They have a meditative effect on those using the beads, as they repeat the prayers in a chant-like manner. The spiritual themes, such as the Sacred Mysteries, are a way of storing religious events in our conscious minds. Try meditating by saying parts of the rosary, such as repeating ‘Hail Mary’. Look at why it is an effective way to silence the mind. The early Christians used the rosary as a way to remember the life of Christ through Mary’s eyes as witness. The Buddhists use mantras in a similar way. In what way can you use a simple mantra or affirmation? Create an altar to Mary, with students bringing in seasonal samples from nature to celebrate Mary’s feast days: flowers, candles, bark, river pebbles, leaves, blossoms, gum nuts, feathers. Link Mary’s life and feast days to nature’s cycles and the seasons, especially winter, spring and the beginning of summer when Mary’s feast days are most close together. So that we too may live in the shining Resurrection of your son, forever and ever. Read the following biblical verses aloud. Mary visits her cousin Elizabeth, who was also expecting a baby (John the Baptist). Both are pregnant through divine intervention and it is in this meeting that they encoutner their destinies as mothers of great leaders. Mary’s response (Luke 1 45–47) is: “All generations will call me blessed.” It is here that she understands the greatness of her task as mother of Jesus—from the crib to the cross. The section known as Mary’s Song of Praise and the Magnificat is one of the most well-known passages in the scriptures. Luke: 46–56 is known as the Magnificat and shows Mary’s trust in God, privileged to be chosen to be Jesus’ mother. This reading above is for the feast day of The Assumption. That is, the day Mary dies and her body and soul are taken up to heaven from her tomb. The Assumption of Mary into heaven is an infallible belief of the Catholic Church as confirmed in 1950 by Pope Pius XI. How does your soul magnify the Lord? Feast Days are to remind us of special days in the Church year. Our devotions to Mary in the changing of seasons are an important part of our liturgical lives. Mary and seasons of prayer: pp. 86, 100, 120, 122, 128, 150, and 176. Commemorates the death of Mary, and her body AND soul being taken up to heaven from her tomb. Mary’s body has never been found and there is no known tomb she may have been buried in. 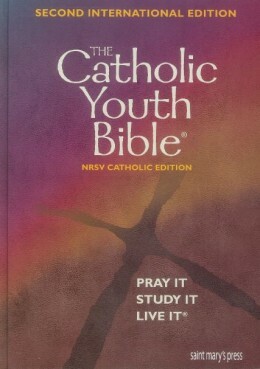 In Catholic teaching (dogma), she was ‘assumed’ into heaven both body and soul. In other words, her body did not decay as she was raised up to heaven by the angels. Prior to Mary only three others had ‘ascended’: Enoch, Elijah and Jesus. Google images of Mary and the Assumption by famous artists e.g. Rubens, Titian, Poussin and compare the different versions of Mary’s assumption into heaven. Is it scientific or spiritual imagery? Explain your views on stylistic variations of artists and what message they were portraying. Was Mary adopted by early Christians because they were familiar with the pagan goddesses and so were able to replace them with her? Look up Isis (an Egyptian goddess) whose son, Horus, was always depicted on her lap. She was known as god-bearer—the same title as Mary (the Theotokos, which means mother of God or God-bearer) given to her at the Council of Ephesus in 431 CE. Mary’s birthday: We celebrate Mary’s birth to Jaochim and Ann. Names are important as they define who we are. The Blessed Virgin Mary is known as the merciful, the ever-patient mother, our protectress … and many more titles. List what your names would be (as in qualities and roles). E.g. Protector of the Weak or Animals, Patient Daughter/Son. How important could these names be to your sense of identity? We recognise Mary for her suffering. The title ‘Our Lady of Sorrows’ refers to Mary’s suffering during the passion and death of Christ. What are the common features? Compare the orthodox icons (Theotokos) to Renaissance art: how do they differ? In response to this statement, create a biography using the Gospelsand the mysteries of the rosaryas references. Show on the map where she lived and travelled to and from and what is happening there today (link with curriculum about world events/history/social studies). Create a documentary, using mediums such as film or PowerPoint. Mary has appeared on earth many times since her death. In small groups, research places she has appeared (now shrines) and the miracles she has performed there, e.g. Fatima, Lourdes, Africa (more recently). Present the findings to the class and put forth the spiritual and scientific explanations for these phenomena.